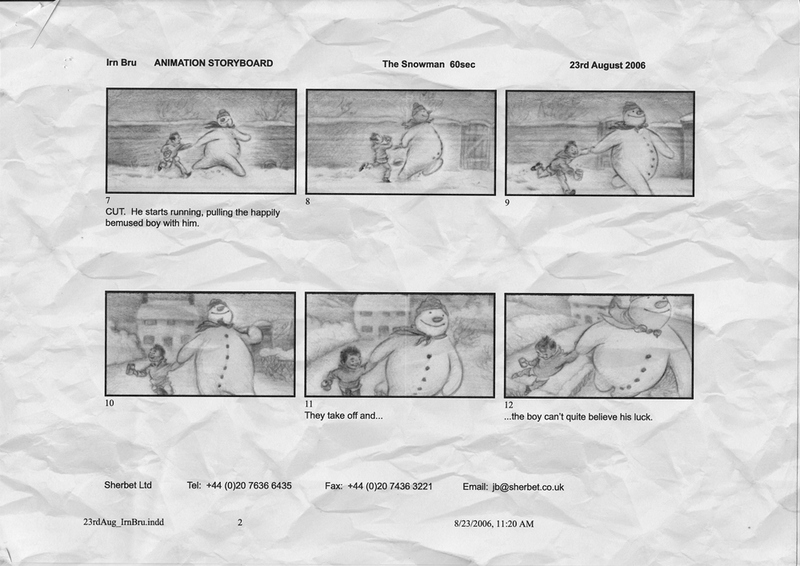 The IRN-BRU Snowman tv ad has become a bit of an festive favourite over the last few years. 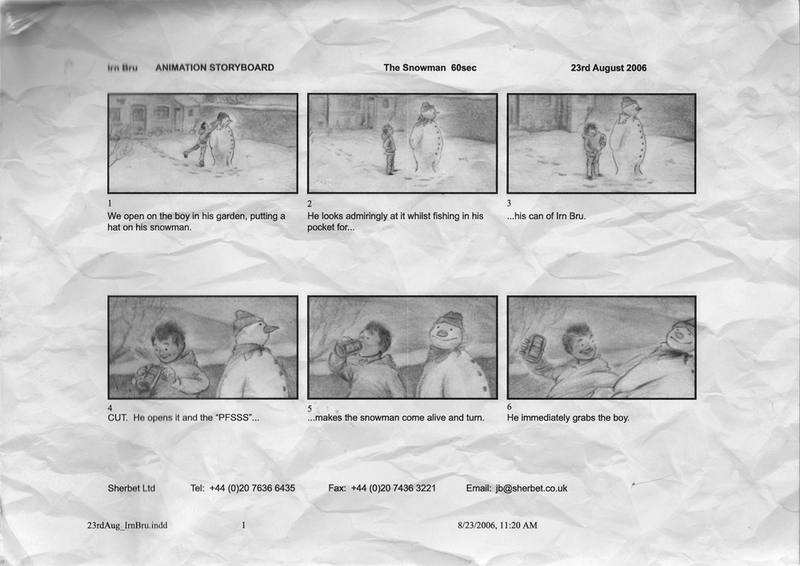 It's a cheeky take on the classic Snowman film and it has racked up more than 2 million hits on youtube and beyond. 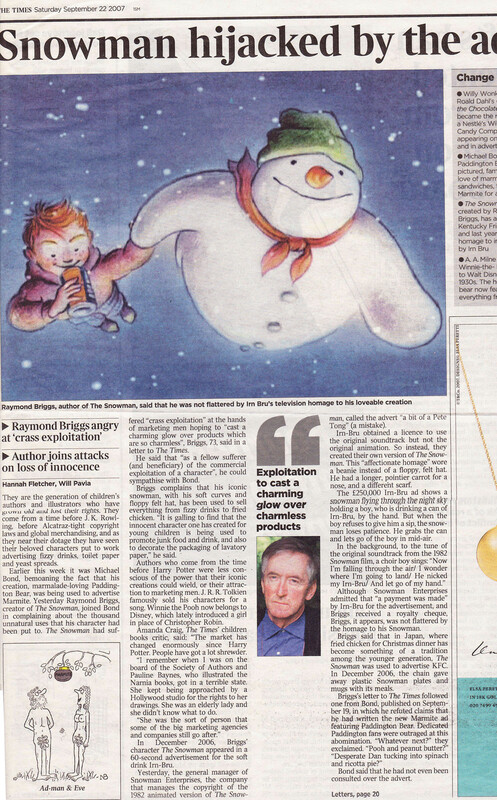 Though it irritated Raymond Briggs greatly. Concept: Me & Mark Davies. Agency: The Leith Agency. 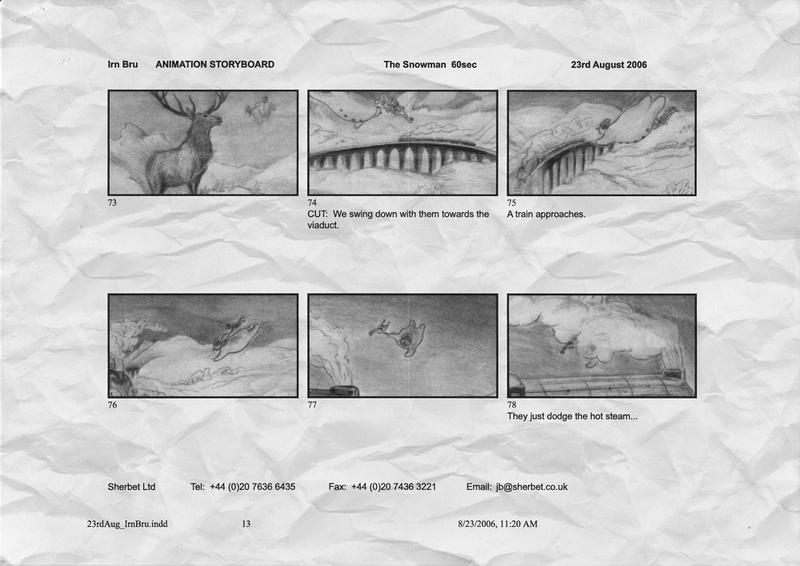 Animation/Direction: Robin Shaw @ Sherbet. 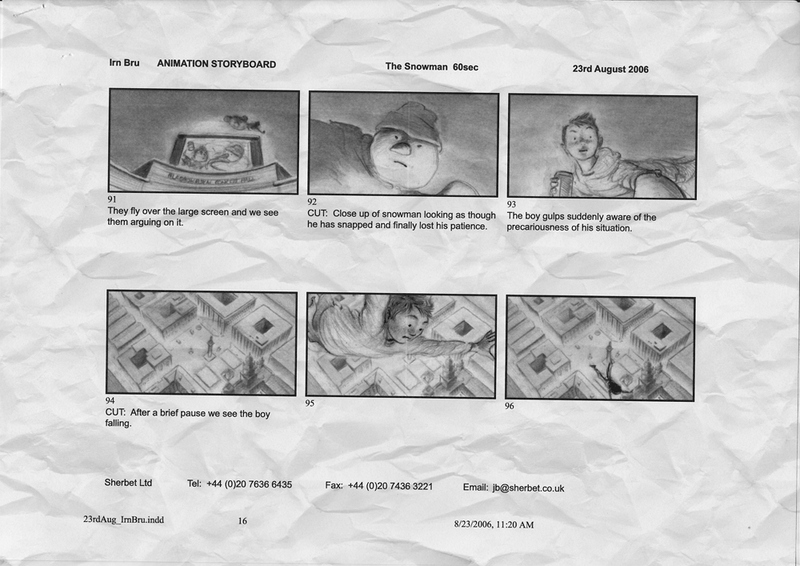 Below are some of the original storyboards and a newspaper article about an 'angry' Raymond Briggs.